In 1998, the punk world was set on fire thanks to a trio of Australian's who broke the mold of what contemporaries in the genre were doing. The Living End released their self-titled debut 19 years ago and combined old-school punk tactics mixed with rockabilly and the fury of The Clash to create something that Joe Strummer would have been proud of. Listen to Our Australian Mixtape! 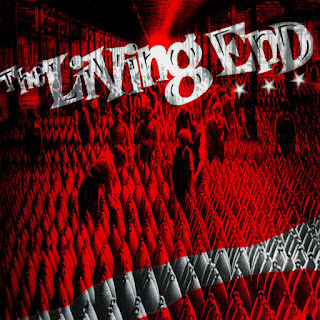 The Living End kicked down the door of the mainstream with the hit single, "Prisoner of Society," which became a global smash and solidified them as the real deal in an era of punk winding down with only Green Day carrying the torch of what the genre was. The album went 4X platinum and brought them universal acclaim. It has been named as one of Australia's 100 best albums and received mainly favorable reviews when it arrived. The record, now album 20 years old, not only holds up, but features the songs we need today. They are tracks of resistance, hope, and clawing your way through the world while taking it on the chin. It is a record about never giving up and after all this time, and the band being together for 23 years -- they never ceased their fire.